The first thing Sophia Amoruso sold online wasn't fashion - it was a stolen book. She spent her teens hitchhiking, committing petty theft, and dumpster diving. By twenty-two, she had resigned herself to employment, but was still broke, directionless, and working a mediocre day job she'd taken for the health insurance. It was there that Sophia decided to start selling vintage clothes on eBay. Eight years later, she is the founder, CEO, and creative director of Nasty Gal, a $100 million plus online fashion retailer with more than 350 employees. 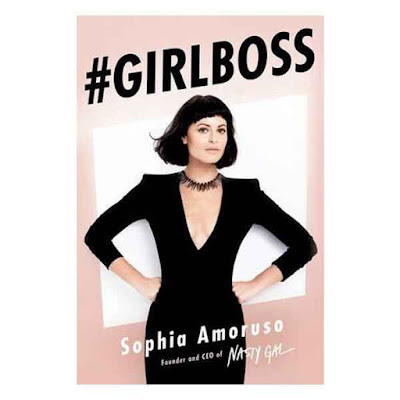 Sophia's never been a typical CEO, or a typical anything, and she's written #GIRLBOSS for outsiders (and insiders) seeking a unique path to success, even when that path is winding as all hell and lined with naysayers. #GIRLBOSS includes Sophia's story, yet is infinitely bigger than Sophia. It's deeply personal yet universal. Filled with brazen wake-up calls ("You are not a special snowflake"), cunning and frank observations ("Failure is your invention"), and behind-the-scenes stories from Nasty Gal's meteoric rise, #GIRLBOSS covers a lot of ground. It proves that being successful isn't about how popular you were in high school or where you went to college (if you went to college). Rather, success is about trusting your instincts and following your gut, knowing which rules to follow and which to break.